At QSR®, quality is in our name — and in everything we do. 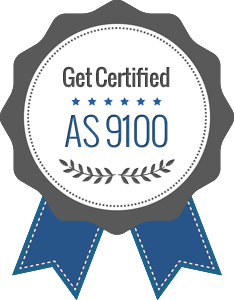 – When you seek accredited certification for today’s most sought after quality management system standards, including ISO 9001, AS9100 and TL 9000, QSR® is the partner you seek. QSR offers accredited third-party certification for a broad spectrum of quality standards and we can customize auditing solutions to help you assure quality throughout your entire value chain. When you work with QSR® you’ll be guaranteed the highest standards of integrity and professionalism in the way we make quality certification decisions and structure our audits to produce the greatest value for our clients. Our value extends to large multinational firms and small businesses, alike. This includes looking at the linkages between quality management system certification and important quality programs like Six Sigma and Total Quality Management. At QSR®, we want to build a long-term partnership with your organization based on trust and mutual respect. Our goal is to help you become more successful through the many benefits of quality management system certification. In doing so, while no accredited certification body is permitted to provide consulting we will do our best to explain any nonconformances with an eye toward helping you improve your overall quality. Contact QSR’s business development group to find out how you can improve your organization’s quality through accredited Quality Management System certification from QSR®. Achieve your goals with Quality Management System Certification from QSR®.